The spring manufacturing process always begins with the customer. When clients come to us, they often think that their custom parts will require complicated process and long lead times. We are here to tell you, that is not always the case. 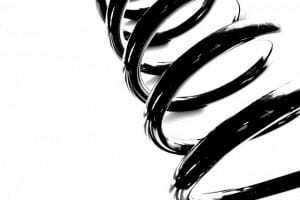 At James Spring & Wire Company, we specialize in short-run, quick delivery, and custom springs. Over our many years of manufacturing springs, we have had the opportunity to create solutions for many challenging projects. This extensive experience in the industry allows us to easily produce even the most complicated parts more quickly. But when it’s time to order custom springs, how should your company get started with the process for your next project? Well, it’s pretty straight forward. Let’s begin. Before you submit a Request for Quote (RFQ), your team should have an idea of the project scope, the end application, and the quantity needed for your project. Once an RFQ is received, along with CAD drawings and specifications, we review internally to ensure good design and work to promptly provide a quote back to you. When an appropriate material is chosen for your custom spring project, we offer a range of manufacturing services to proceed. These services include coiling, hand work, secondary work, grinding and finishing. We have automatic CNC coiling machines and automatic grinding machines to carry out grinding work. We can cater to any custom spring project requirement you have with our extensive list of materials and capabilities. We manufacture products for a wide range of industries and in an assortment of configurations from complex designs down to the basic cuts. Contact us about your custom spring, wire form, and four slide stamping needs.